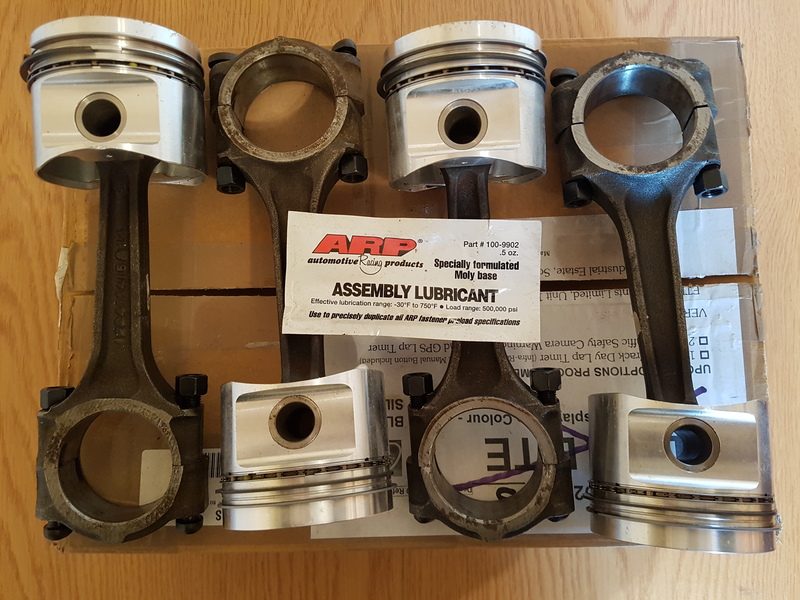 I have BRAND NEW SET OF Accralite pistons +40 thou on a set of A+ rods with a set of BRAND NEW ARP ROD BOLTS. Since I have owned these items they have never been fitted has I have one of those awfully long builds going on!! I do not have access to social media etc so if anyone want a pic please pm me with an E-mail address and ill send some over. I AM LOOKING FOR £500 + postage. Edited by PEP on 13th Dec, 2018.